Formed by the merger of National Parkinson Foundation and the Parkinson’s Disease Foundation in August 2016, the mission of the new foundation is to invest in promising scientific research that will end Parkinson’s disease and improve the lives of people with Parkinson’s, and their families, through improved treatments, support and the best care. 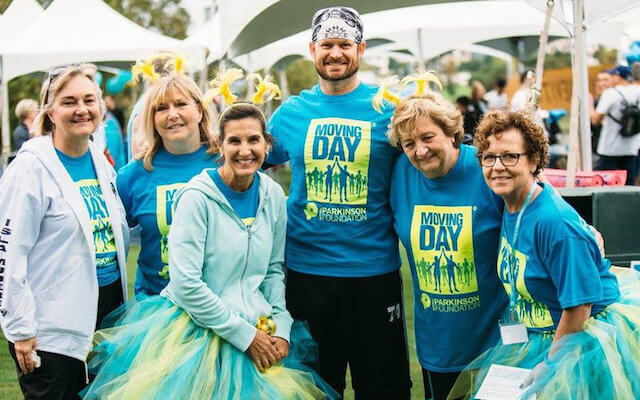 After it was announced that the National Parkinson Foundation and the Parkinson’s Disease Foundation would merge, the board had the task of choosing who would lead this newly formed coalition in the fight against Parkinson’s. 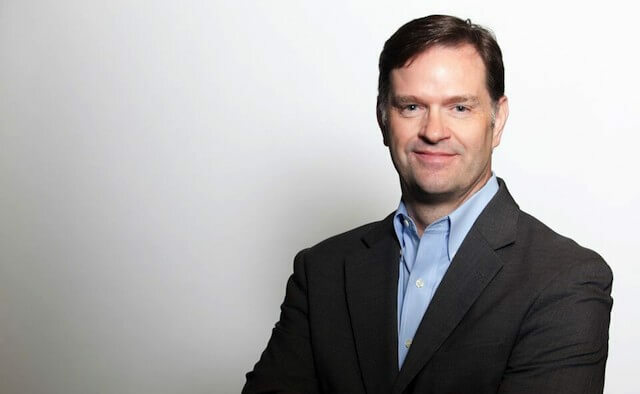 With a track record of more than 20 years experience of non-profit fundraising and management across the healthcare and medical research sectors, John Lehr was the man selected for the job – but what can we expect from the new CEO? Here, in an exclusive interview, Lehr explains why he’s pledged to increase investments in Parkinson’s research, address the concerns of the community and make finding a cure the foundation’s ultimate goal. What are your plans for the newly forged Parkinson’s Foundation? It is an honour to lead the Parkinson’s Foundation at such a pivotal time—one in which the needs of the community and developments in research are greater than ever. As a combined organisation, we will continue to fight Parkinson’s by investing in promising scientific research that will improve the lives of people living with the disease through better treatments, support and the best care. Later this month, we will be announcing the addition of two new Centers of Excellence to our global network of research centres. What do you feel are the most critical needs within the Parkinson’s community? As CEO, I am eager to listen to the Parkinson’s community and address its concerns with urgency. We know that Parkinson’s disease can be isolating and we want to make sure people do not feel alone. We want to help people find expert care, connect with others in their local community and have the necessary tools to live well with the disease until there is a cure. Which recent scientific breakthroughs in the Parkinson’s world are you are you most excited about? I am very excited about the real progress that has been made in identifying alpha-synuclein as a target for therapeutic development. I am especially proud of the contributions our scientists have made through our grant programmes and our research centres to solve this puzzle. It was a little more than 20 years ago that alpha-synuclein was first identified – with the help of one our first fellows, Roger Duvoisin, MD – and now there are therapies in clinical trials that target this protein. These are therapies that have the potential to change the course of this disease. This is a classic example of what the breadth our organisation brings to the table – our clinicians and scientists that we support, our network of clinical care centre – that we are able to tackle issues like this in Parkinson’s that no other organisation is able to do. Some people think that Parkinson’s organisations are too focused on finding a cure and that not enough is being done for people living with the condition in the now. What are your thoughts on this and how important is it for the Parkinson’s community to work together on this issue? We need to understand the disease better. We still don’t understand the basic biology of Parkinson’s – but finding the cure is the ultimate goal. We’re looking at all treatment options that allow all people with Parkinson’s to live their lives in the best way that they can. Although I’ve only been in this role a few weeks I’ve already spoken to some of the leaders in the world of Parkinson’s disease such as the leadership teams of the Michael J Fox Foundation, Davis Phinney Foundation, Parkinson’s UK so I’m very much a believer in working together. How will you help people with Parkinson’s, and their families access improved treatments and support? Through our network of 42 Centers of Excellence – leading medical institutions that deliver care to more than 100,000 people with Parkinson’s across the US – we drive and set the standard of expert care and treatment in Parkinson’s. We offer free educational materials in print and online, a network of local chapters that offer wellness programs and support groups, and a toll-free Helpline for more information on the disease and emotional support. Will you be involved in any Parkinson’s fundraising activities such as the annual Unity Walk in Central Park, New York City? Yes, the Parkinson’s Foundation will have a booth at the Unity Walk in April. We will also be introducing new walk locations in 2017 through our signature event, Moving Day®, A Walk for Parkinson’s. These family-friendly walks help raise funds and awareness for Parkinson’s in 23 local communities across the US. Is the organisation planning anything special for its 60th anniversary, which falls this year? We are planning a special event to mark the 200th anniversary of the publication of James Parkinson’s seminal essay ‘Shaking Palsy’. It will also mark the 60th anniversary of the founding of both legacy organisations. We are planning two events: an anniversary dinner on 31 May and all day scientific event the following day called, ‘World Without Parkinson’s: A Look into the Future’ on 1 June in New York City, US. Why do you feel so strongly about helping people with Parkinson’s disease? I feel strongly about helping people with Parkinson’s disease because there are about one million people in the US living with this disease and more than 10 million worldwide. The rate of Parkinson’s is expected to double by 2030 as our population of baby boomers continues to age. Although promising research is being conducted, there is currently no cure for Parkinson’s and that is unacceptable. I am committed to increasing our investments in research and care initiatives that will change the course of Parkinson’s disease. Why do you think that you were chosen for this role? I bring to the Parkinson’s Foundation more than two decades of non-profit fundraising and management experience and a strong track record in the voluntary healthcare and medical research sectors, having led successful fundraising campaigns and implemented programs that have advanced the missions of organisations working to improve the lives of people living with a chronic disease. Tell us your favourite thing about working with people with Parkinson’s. I am new to the Parkinson’s community, but the passion of those who are working daily to end Parkinson’s is evident. I’m inspired by the persistent hope and courage of those living with the disease and their families and will work to bring these two organisations together to give one voice to the community on a national scale. Outside of work, could you tell us about your hobbies, interests and home life? I live in Washington DC, US, and like to go hiking and biking. I have an 11-year-old daughter so I like to spend time with her. I’m looking forward to spending time in both Miami and New York for all my Parkinson’s Foundation engagements.